The School of Architecture is committed to discovery and design as the primary modes of work and teaching, with focus on the study and advancement of architecture in all its scales and scope. 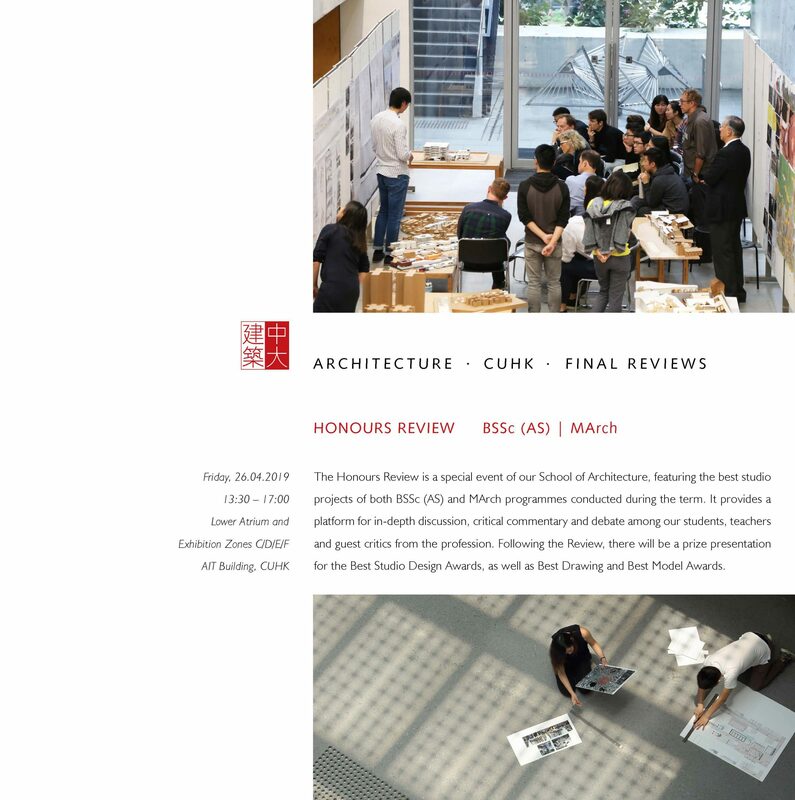 It works as a community of students, teachers, visiting architects and designers, support staff and assistants, and other colleagues dedicated to the pursuit of excellence in the advancement of architecture and education. It draws upon a rich source of cognate departments in the University, other professional communities in Hong Kong, and associated universities in the Chinese mainland and overseas. Applicants should (i) have a PhD degree in architecture with focus in the aforesaid areas(s) OR a professional Master’s degree in architecture and not less than 4 years (with professional registration) or 6 years (without professional registration) of practical experience in architecture; (ii) be able to demonstrate original and outstanding achievement in design by providing evidence of design or research projects; (iii) have strong commitment to excellence in teaching and research. The ability to teach architectural design studios in addition to courses in one of the above areas will normally be expected. Preference will be given to those who have substantial teaching and/or professional experience. Appointments will normally be made on contract basis for up to three years initially, which, subject to mutual agreement, may lead to longer-term appointment or substantiation later. Please complete the online application form together with a letter of interest, full resume, portfolio, and names/e-mail addresses of three referees from whom consent has been given to the applicant for providing references. For enquiries, please contact Mrs. Annabel Leung, Executive Assistant of the School of Architecture (e-mail: annabelleung@cuhk.edu.hk or Tel. : +852 3943 6552).